The ideal: perfectly crisp and smooth linens. There is nothing like beautifully pressed linens. The cool immaculate crispness and the implied sense of order of perfectly pressed linens seems like a noble goal in an ever more chaotic world. I have discovered many times over, that the apparently simple task of ironing napkins is clearly more complex than first thought. 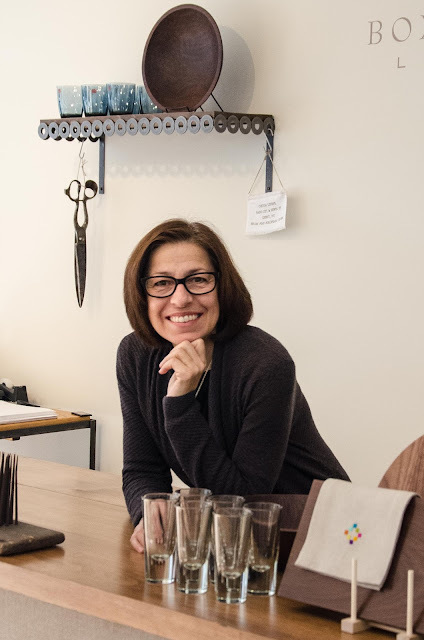 I decided to find out what it takes to make that crisp perfection happen by checking in with the local linen maven Franca Fusco of Boxwood Linen. I am happy to share the 1-2-3's of what I learned from my behind the scenes lesson just in time for all the holiday napkins and table clothes that are waiting to be pressed. Franca behind the counter of her local Chatham NY shop. The first step is to start with immaculate spot free linens that have been aired dried. She advises never using the dryer because it breaks the fibers and leaves linen limp and lifeless. Pretreating stains is a must and soaking them is also highly recommended to help lift out the spots and leave the pieces pristine. 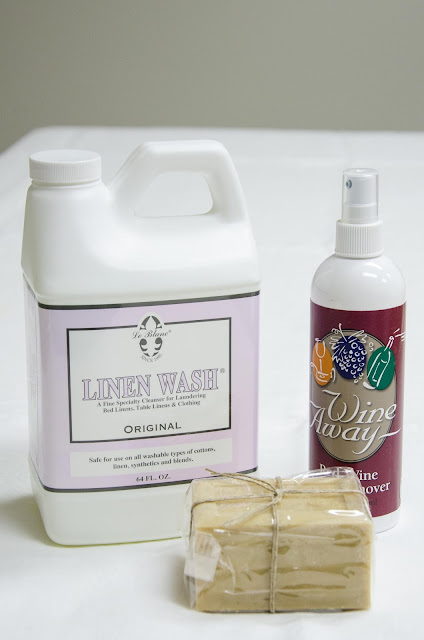 Her go to products that she uses and always recommends for washing Le Blanc Linen Wash, Wine Away and Savon de Marseille. The second step is to make sure the iron is at its highest setting and preheated, it should sizzle, when it comes in contact with the item. A spray bottle is a necessity to thoroughly dampen the pieces and relax the fibers. 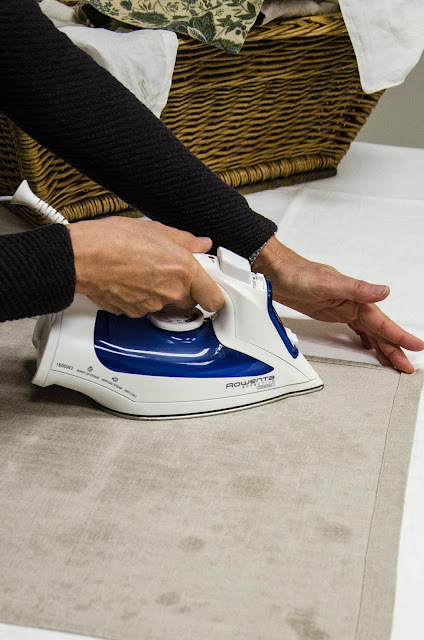 Smooth and flatten as you iron. 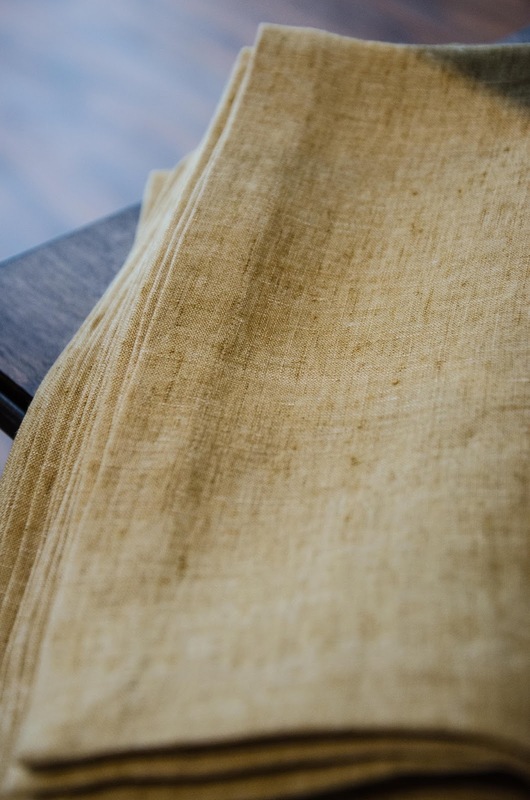 A thoroughly moistened towel presses easily with nay a wrinkle or crease. Lastly, once the piece is done set it aside and and let it completely dry flat and then fold. For whites and dark colors she recommends using a press cloth to prevent spotting or sheen.